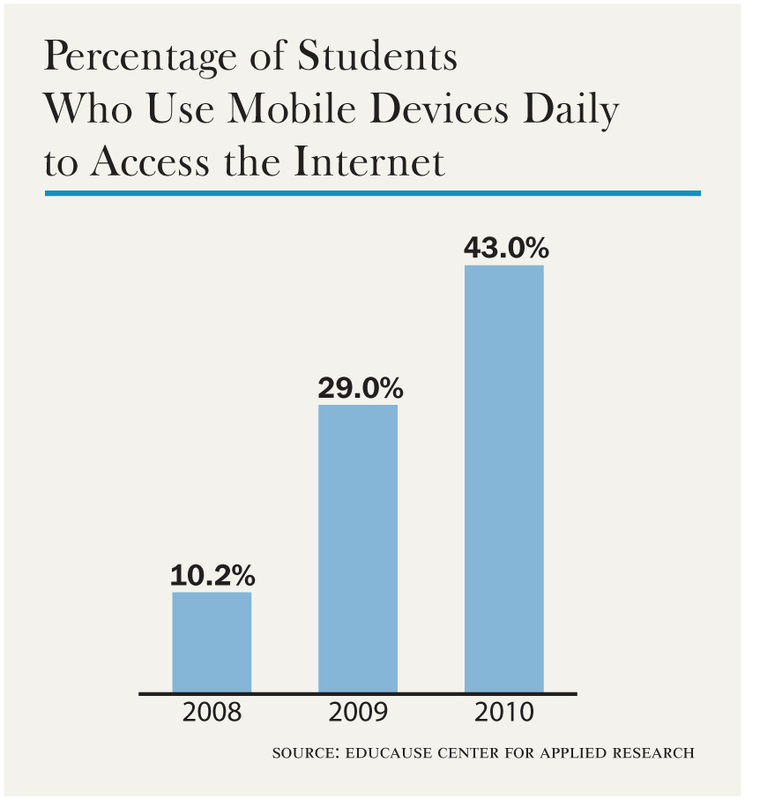 Teaching Without Walls: Life Beyond the Lecture: Mobile Learning in College? If you're connected to the dialogue around educational technology, you've undoubtedly heard the buzz about the possibilities and challenges of integrating mobile devices into our students' college experiences. Some colleges are excited and ready to experiment. Others are reluctant and still grappling with the implications of the internet on college learning. An article shared this week in the Chronicle of Higher Ed, paints a portrait of college students who are waiting patiently for their professors and campus services to go mobile. This month I shared a blog post on GETideas.org that examines the saturation of mobile devices around the globe and highlights some of the current projects and opportunities in this area. Please click here to read the blog post. In an effort to bring this conversation forward, I've created a VoiceThread for professors, deans, provosts, IT directors, support staff and students. Do you have a mobile teaching idea to share? Is your campus working on a mobile project? Do you have concerns about the significant shift to mobile internet access that is upon us? Please join in and leave a comment. Click on the “Comment” button.